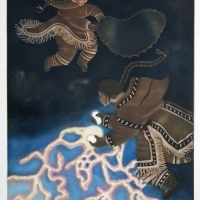 Germaine Arnaktauyok is renowned for her talents as an illustrator and master printmaker. 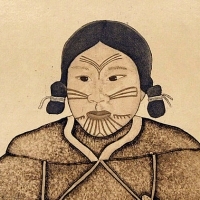 The daughter of carvers Therese Nattok and Isidore Iytok, she started to draw on any material available while still a young girl in Igloolik. 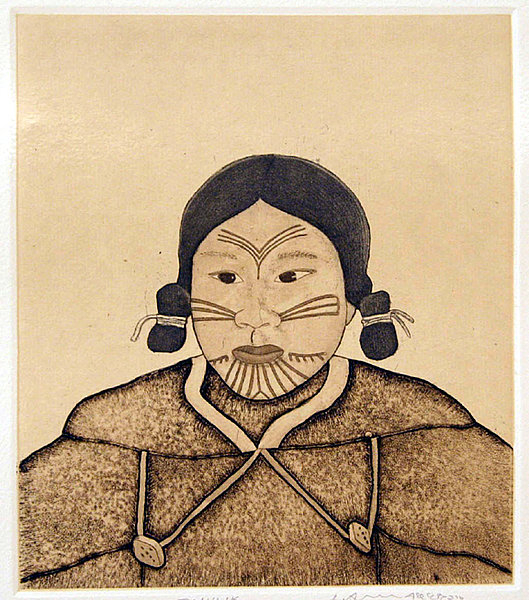 When she was sent to residential school at Chesterfield Inlet at age nine, she met a nun who gave her art lessons. 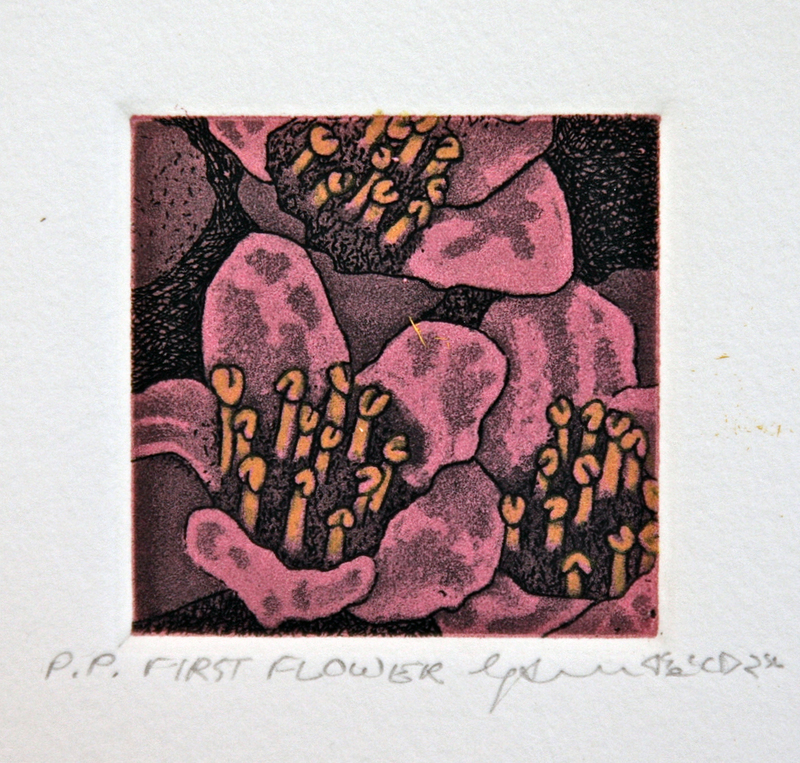 Germaine sold her first painting at age 11. Since then she has participated in a variety of courses including one year at the University of Manitoba in the Fine Arts program and studied commercial art at the Pembroke Campus of Algonquin College in Ottawa. 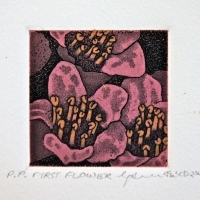 Germaine has also completed a printmaking course sponsored by the Arctic College and Arts Induvik Canada. 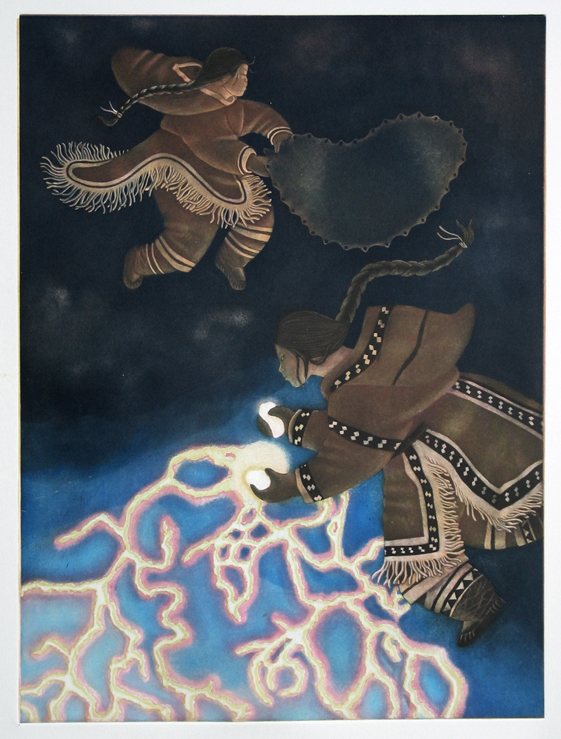 She is one of the few Inuit artists with formal art training. 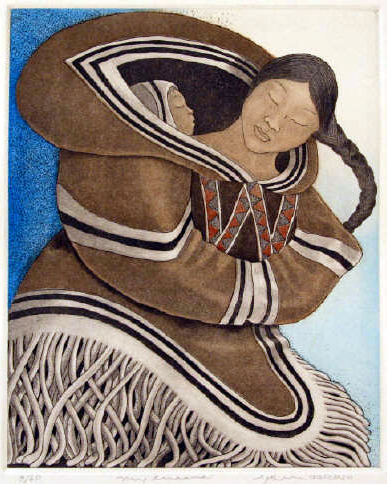 While in Ottawa Germaine Arnaktauyok also illustrated children’s books for Northern and Indian Affairs. 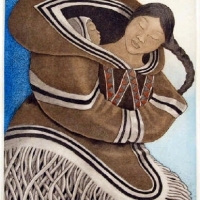 Her illustrations are also included in children’s books from the Baffin Divisional Board of Education, as well as Hyperion Press in Winnipeg and for Nick Nicol, a Canadian author published in Japan.